So your Home Inspection came back: Now What? 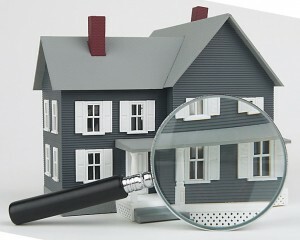 If you are buying or selling a home, you are probably familiar with the Home Inspection process. If you have any questions, click here for a brief overview of the Importance of Home Inspections. Your Song Real Estate agent can help you get in contact with a good Home Inspector in your area. Home Inspections are SUPPOSED to provide you with peace of mind and help you feel secure in your purchase, but what many people don’t realize is that every home has problems! Even brand new properties at least have minor issues that could be improved. Its no big deal when the Inspection just confirms what you already know, and I hope that all of these issues are revealed BEFORE the home sale, but sometimes an inspection comes back with surprises. Getting a bad home inspection back can cause a freak-out for both the buyer and the seller, so it’s important to know exactly what it means and what action you need to take! Talk to your inspector and your Realtor if there is ANYTHING on the report that you don’t completely understand. Remember, there are always options, so you should never feel trapped or confused during this process. The first step in resolving the issues must be taken by the buyer. Be careful because the buyer and seller may view the report differently and buyers often expect their new home to need a little elbow grease. Buyers: When you request repairs for the home seller to make, it is not in your best interest to simply hand them a long list of repairs and tell them to fix everything. Negotiate for the repairs that you really want and the seller will be more inclined to give it to you. You can reach a compromise without giving up the repairs you really need. Sellers: Work WITH the buyer! Like I said, the key is compromise. Talk to your Song Real Estate Agent to get a better idea of standard negotiating solutions in our area. One thing that can help you save money in this process is getting bids from local repair companies. You can get a better deal by choosing the contractors that you want to work with and the items that you want to buy. Sometimes just showing the buyer that the repair may not be as important or as expensive as they thought can cool both sides down and set the stage for a compromise. Accept the fact that there are things you can’t change on both sides of the negotiation. Sometimes the only thing you can do is to avoid drama and let your Realtor try to work it out. You should never be uninformed or bewildered about what is happening in your negotiation because you have many, many options. Consider bargaining with repairs, financial credit, or a reduced price. Most importantly, involve your Realtor during the whole process. They can be more helpful than you can imagine and the agents at Song Real Estate have the experience and knowledge to help you every step of the way! For more information call the Song Real Estate Team today!